There are currently 309 active members in our club, sharing their knowledge and experience. You do not need to be an owner or pilot to join us. We welcome any enthusiast. To enable the Club to stay in touch with you, Click here and READ THIS DOCUMENT. If you have a problem logging on, please contact one of us. 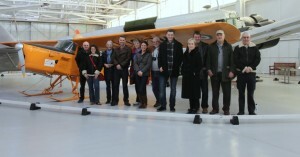 Join the oldest specific aircraft type club in the United Kingdom and possibly in the world. Discover the history and heritage of the club and Auster. Lots of information about the different aircraft history is also available. Latest events and displays information all around the world. To bring together Auster owners and enthusiasts and anyone wishing to support or learn about Auster aircraft throughout the world. To foster and promote the worldwide survival of the type in an airworthy state through the provision of information and advice as is within the scope of the Club’s technical and financial resources. To raise awareness of the brand by means of marketing and publicising Auster’s contribution to the UKs aviation heritage. To organise activities on a regular basis for Club members and guests. To improve safety knowledge and understanding. To promote the aims and ideals of the LAA. To encourage membership of the LAA. To advance the cause of light aviation. To maintain awareness concerning local threats or potential restrictions on light aviation activity, e.g. strips/airfields facing opposition or needing planning support, and report such information to the LAA.